What better way to proudly display your love of all things Nintendo than a pair of sneakers featuring the likes of Mario, Donkey Kong, Princess Peach, Duck Hunt and more? 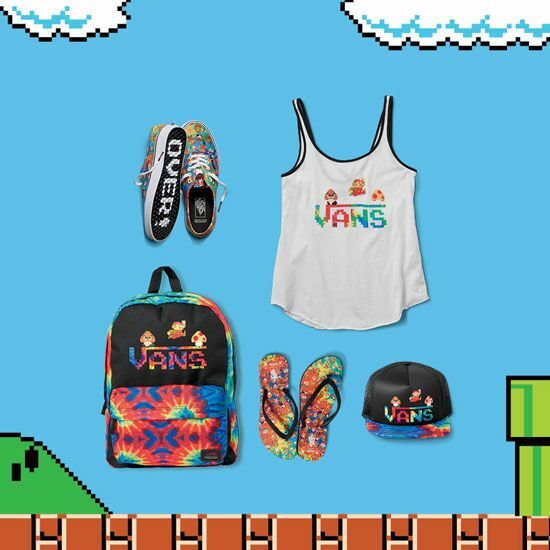 Come June 3, Vans will be launching a whole line of shoes in the US and Europe as part of a collaboration with the Big N themselves that all feature exclusive art work inspired by the 8-bit era of the Nintendo Entertainment System. Just in case you were worried there wasn’t enough video game on show for each design, the soles of each type will have the phrase ‘Game Over!’ printed on them, with the laces and tongue labels also being suitably adorned with the relevant branding. Nintendo-themed shoes aren’t the only attire that’ll be encouraging you to depart with your cash. Vans also has a range of apparel – hats, bags and vests – to go along with their footwear range. 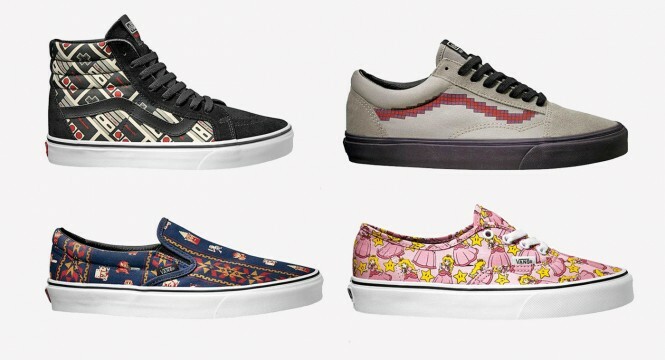 Prices are yet to be announced, but if you intend to be first in line on Friday when the range goes up for sale, you can head over to the official Vans website here and sign-up to be notified the second they’re available to purchase.